I don’t really know where to start this week. I could tell you about the resurgence of a couple of our over seventy year-olds who walked away winning two of the TRGG competitions this past week, or I could talk about Mike Rushant, who since going to see a local guru, a Thai golf pro called Charlie who tinkered with his game, has hardly put a foot wrong ever since. Or I could just let you all know that the computer glitch that stopped the TRGG website updates has now been eliminated and all is fine and dandy again. Tell you what I will do all three. On Monday the TRGG headed off to do battle with the Navy course at Plutaluang (West and North), and a more picturesque golf course it would be difficult to find. Now I played with the eventual winner Mike Rushant, who continued his unbelievable form of the last few weeks and I have to say he was a revelation. His consistency and absolute confidence left the rest of us in awe and as I later found out, he put it all down to Charlie. No not that sort of Charlie. 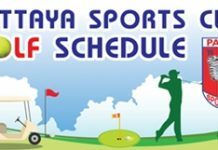 Charlie is a Thai golf pro in Pattaya who has been helping a number of our golfers, all of whom have improved their game beyond belief and I am not talking about old hackers like yours truly but single handicappers who know their way around a golf course. I am heading off to see him next week and I assure you he will have his work cut out to improve my game. Tuesday was a Thai Bank Holiday and caused a last minute change of venue. Instead of our regular Tuesday visit to Green Valley we were obliged to change and headed off to Greenwood (A and B courses) instead. So large were the numbers it required two divisions. I should like to mention the winner of Div. 2, Seamus Farrell, who is over 70 and an all round good guy. In fact everyone who knows Seamus would describe him as ‘all round’. Joking aside I was very pleased to see he had an excellent day’s golf on Tuesday. 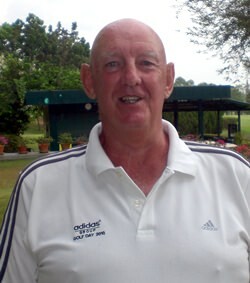 The TRGG golfers headed off to Khao Kheow (A and B courses) on Thursday and Mike Rushant did it again by finishing first. 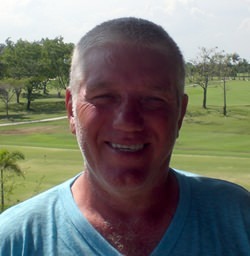 However, the noticeable event of the day was the return of another 70+ golfer Fergus Brennan, who has been away from the game for a few weeks suffering with a problem with his eyes. So bad was it that Fergus was fearing he might never see his way around a golf course again. Thankfully things have improved and he returned to the fairways with a bang this week. After finishing third at Greenwood on Tuesday he went one better today, returning to his normal ‘bridesmaid’ position of second place. On Saturday it was back to Crystal Bay (C and A course) and a return to the winners’ enclosure for Fergus Brennan, playing his best hand of the week and silencing the rest of the field, but only getting the better of runner-up Barry Wood after a count back.